Rajasthan is probably the most famous Indian destination among all the far-flung visitors who made it to the wonderland we call “India”. 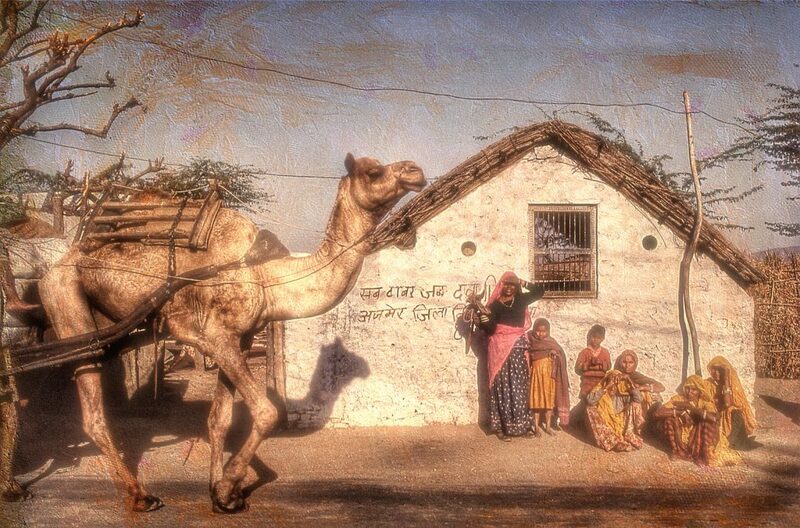 When we think of this land of Maharajas the first things which flash through our minds are the camels and the desert. However, that is just not it. 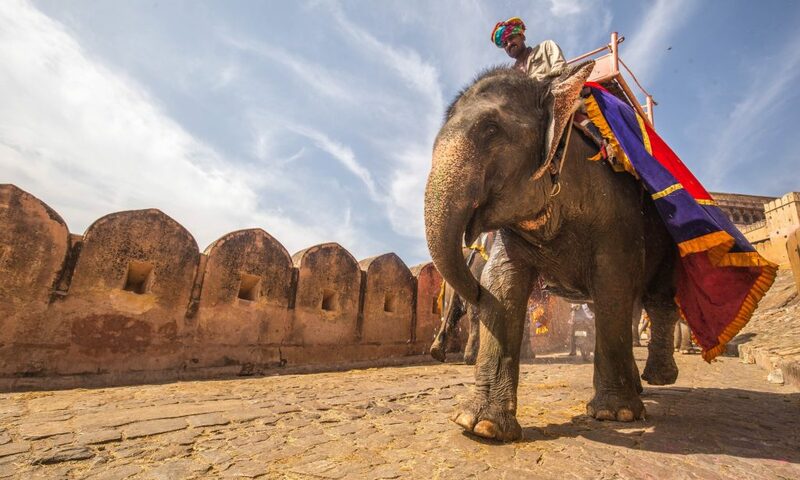 There is a lot more to experience at this kingly state, which cannot be experienced elsewhere in India which is why the Outlook Traveller Magazine has recognized Rajasthan as the “Best Tourism State in India”. The state boasts of some of the most imposing architectural wonders in the World including eight UNESCO recognized World Heritage Sites. It is not just the architecture which sets apart Rajasthan as a go-to destination, it is also the distinct culture of the Rajasthan people. 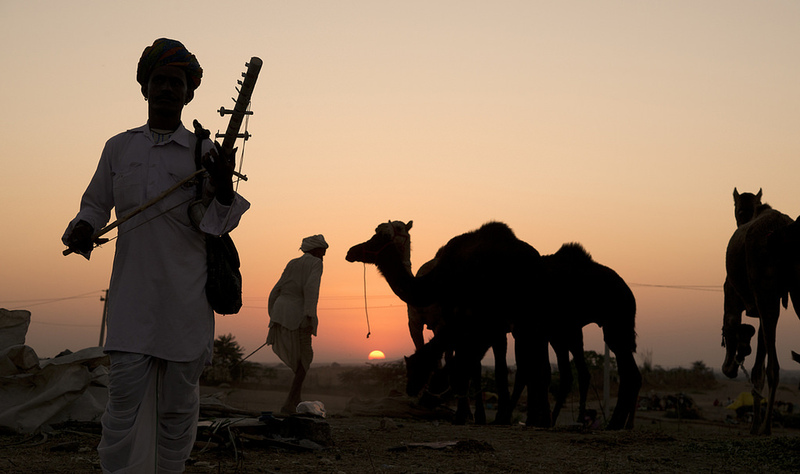 Rajasthan is probably the most culturally diverse region in India. Their vibrant dress code, the Rajasthani cuisine, its history, art, dance, music and mostly their grand festivals and fairs conducted annually draws winged visitors from all across the globe. Rajasthan also houses many famous Wildlife Sanctuaries and National Parks in India like the most photographed and favourite haunt for the wildlife enthusiasts in India, the Ranthambore National Park, the Keoladeo Ghana Bird Sanctuary at Bharatpur, the so-called Bird Watcher’s Paradise or perhaps the Desert National Sanctuary at Jaisalmer. If you have never been to India, Rajasthan is your best pick to start exploring the wonders of India. Below we have come up with a list of 10 most beautiful places in Rajasthan you need to see in 2018. The capital city of Rajasthan, Jaipur is hailed as the “Pink City” owing to its array of buildings, all coloured in pink. The city is a part of the famed Golden Triangle Tour of India along with Agra and Delhi. There are numerous attractions in Jaipur to keep them entertained for ages. You need at least 3 days to get a fair experience of Jaipur. The stunning forts of Jaigarh, Amer and Nahargarh, the Imperial City Palace, the Hawa Mahal and the bustling colourful bazaars [local markets] are the major attractions of this spectacular city in pink. A leisurely stroll along these bazaars would provide you with some unseen yet beautiful scenes of the life in Jaipur. Jodhpur is the second largest and one of the most visited cities in Rajasthan. The city is home to numerous sightseeing places dominated by the mighty Mehrangarh Fort. Jodhpur along with Bikaner and Jaisalmer form the famous Desert Triangle of Rajasthan. It lies on the edge of the Thar Desert to the west of Rajasthan. It is popularly known as the Sun City and the Blue City. The name Sun City it owes to its all year round sunny weather and the Blue City to its sea of buildings all painted in blue. The morning sunrise clubbed with these vibrant blue structure here set up a spectacular scene. The city acclaimed for housing one of the very rare Brahma temples, Pushkar is of great religious significance for the Hindus. Legend has it that the Pushkar Lake around which the City is set was created by Lord Brahma himself. There are around 52 ghats which encircle the lake. 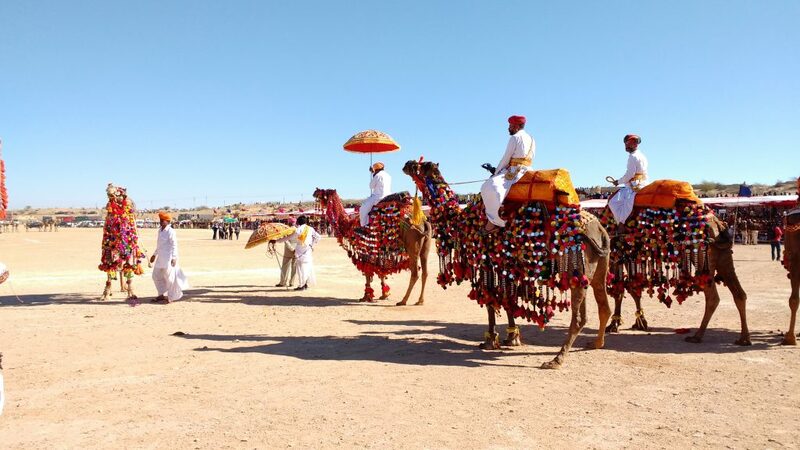 The ancient Pushkar Camel Fair is another major reason apart from the Brahma Temple which attracts travellers to Pushkar from the far-off lands. To enjoy a panoramic view of the whole Pushkar City and the lake, it is recommended you climb the Naga Pahar, a mountain frequented by photographers to get a picture-perfect shot of the Pushkar City. 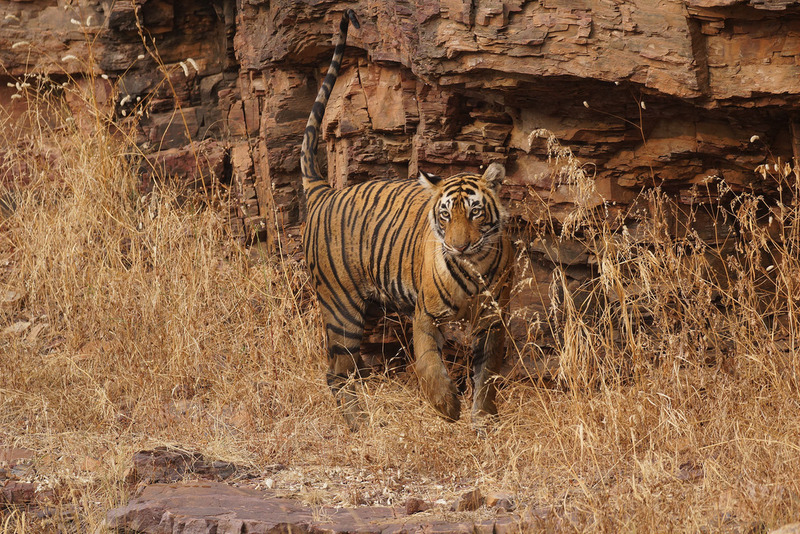 Gateway to the World famous Ranthambore National Park, Sawai Madhopur is a must visit destination in Rajasthan. It was a favourite hunting ground for the Maharajas of Rajasthan. Not just wildlife, there are numerous historical monuments, temples and more. Therefore it is equally entertaining for the wildlife enthusiasts and history fanatics as well. Voted as the “Best Tourism City in India” by the Outlook Traveller Magazine, Udaipur sees millions of travellers from all around the World throughout the year. 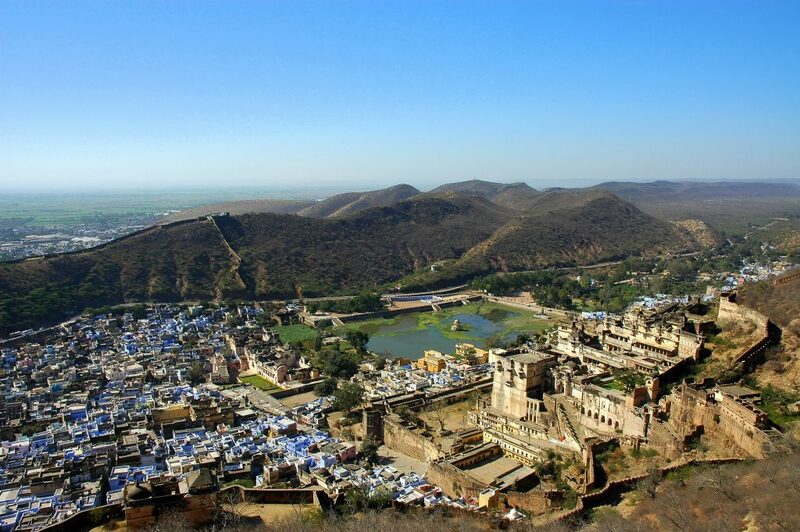 This so-called “City of Lakes” is regarded as the most romantic city in Rajasthan and probably in the whole country. Such is the elegance and charm of this beautiful city surrounded by the blissful Aravalli Hills. The various number of man-made lakes, imperial palaces, the food, annual festivals and fairs, all add reasons to why make a visit to the enchanting city of Udaipur. Jaisalmer is a spectacular desert destination, a World Heritage Site, located right at the heart of the famous Thar Desert. It is popularly known as the “Golden City”, owing the name to the city’s liberal use of Yellow Sandstone on its every architecture. The city is renowned for the Jaisalmer Fort and the Camel Safari activities along the Thar Desert. Bundi is another city which boasts of some huge forts, gorgeous mansions and palaces which narrate the tales of the long-gone era of the various Rajput rulers of Rajasthan. 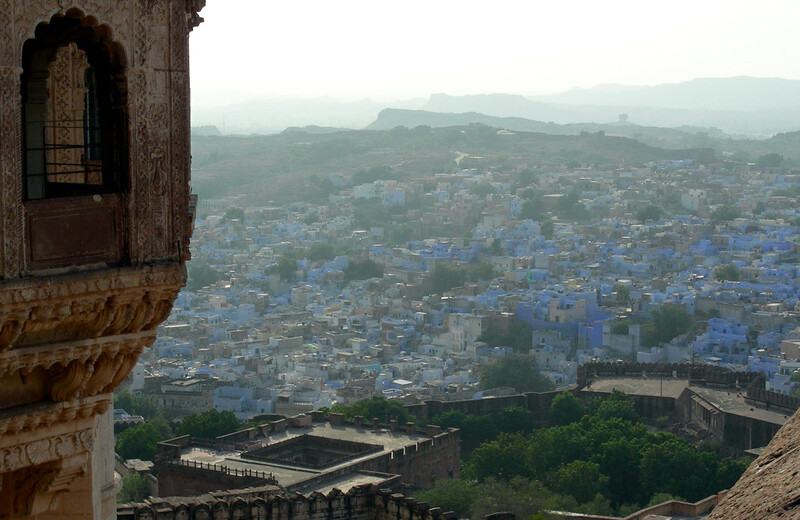 Known as the blue city of Rajasthan, Bundi is famous for numerous step wells spread across its desert landscape. 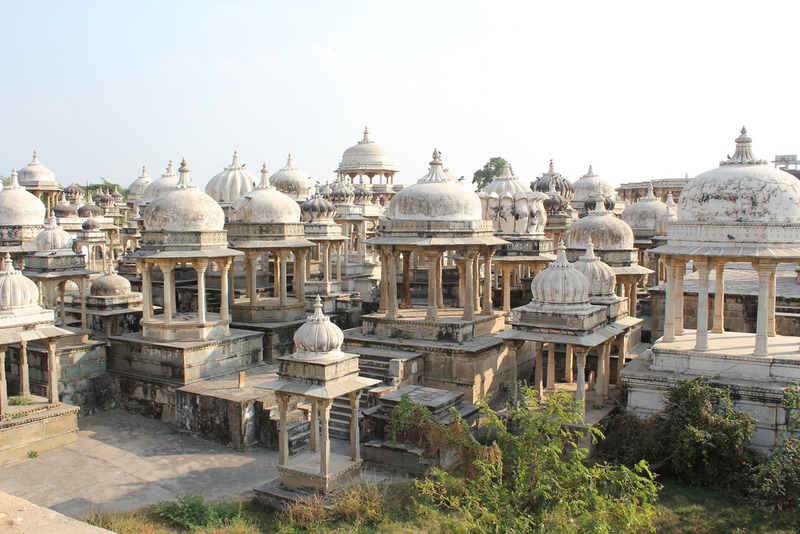 The Bundi Festival conducted during the month of November is a great time to make a visit. It showcases the culture and various traditional art forms indigenous to the princely state of Rajasthan. 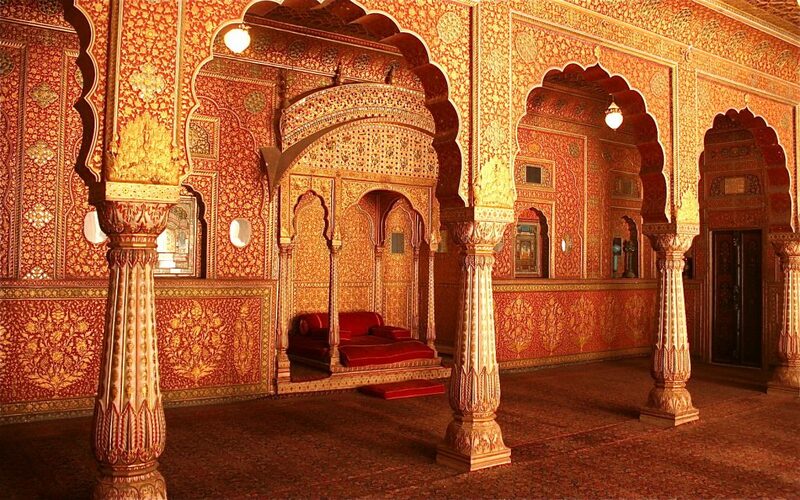 One among the cornerstones of the famous desert triangle, Bikaner boasts of some of the rare sights of Rajasthan. This ancient fortified city still possesses its regal charm. Apart from the Junagarh Fort, the Lalgarh Palace and other sightseeing options, Bikaner is world famous for its school of miniature paintings, a fine medley of Rajput and Mughal styles. Camel Safari is a new hit among the travellers. Not so commercialised and crowded considering the safaris at Jaisalmer or Jaipur, Bikaner offers a perfect setting for a Camel ride along the breathtakingly beautiful sand dunes of Rajasthan. Best places to see in Bikaner: The Junagarh Fort, the Prachina Museum, Bhandeshwar Jain Temple, Lalgarh Palace and Sadul Museum are some of the major sightseeing places in Bikaner. 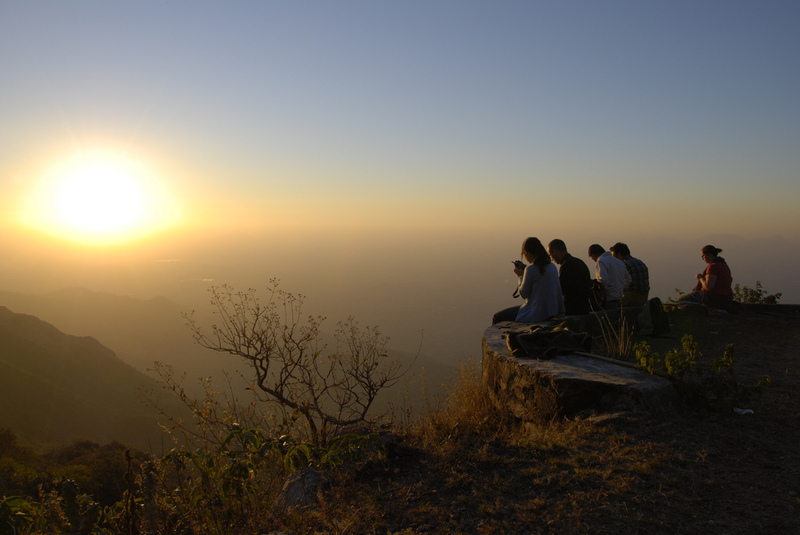 Better known as the Switzerland of Rajasthan, Mount Abu can be referred as an oasis in the desert landscape of Rajasthan. It is the only hill station in this desert city of India. Set amidst the Aravalli Mountain Range, this spectacular hill station serves as the summer capital for the people of Rajasthan. The near thousand-year-old Dilwara Jain Temples with their architectural splendour situated very near to Mount Abu are something worth admiring. The Guru Shikhar Peak, the highest among the Aravalli Mountains is also located at Mount Abu. Mentioned in the great Hindu Epic “Mahabharata”, it is of great historical and mythical importance as well which draws pilgrims from all parts of the country all year round. Overall the Mount Abu is a fine pick for you to spend your holidays at Rajasthan. 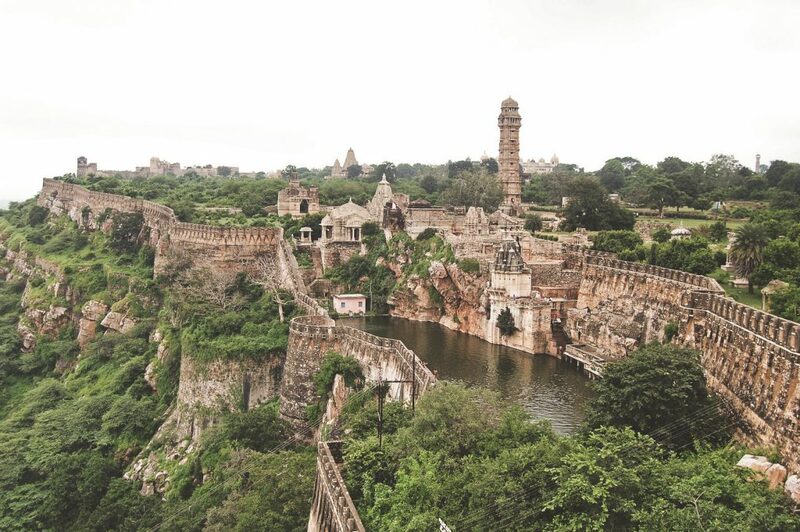 Home to the famed UNESCO recognized Chittorgarh fort, the largest of its kind in India, Chittorgarh or better known as Chittaur is an ancient city located to the West of Rajasthan. The city comprises of many splendid palaces and mansions reflecting the regal Rajputana architecture. There are numerous temples as well in Chittorgarh which of the huge religious significance for the Hindus and the architecture of these temples are simply magnificent, which is why it is equally entertaining for all types of travellers and not just the pilgrims. Are you ready to explore the colours of Rajasthan? Leaves us your enquiry below and our Indian tour expert will get in touch with you within 24 hours time.